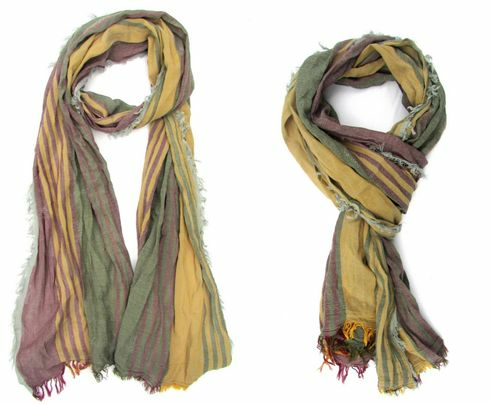 Perfect blend of 100% Turkish cotton and viscose makes these scarves incredible soft, durable and lightweight. This large scarf is sized 20" x 72", slightly sheer with with hand finished fringe details on the edges. You can wear it long, short, knotted, as a head wrap the options is endless. The beautiful colors and designs make this scarf more a versatile fashion accessory than just a functioning add-on in cold weather that you can wear it all year long. Keep this light weight scarf on when you remove your coat as a cosy fashion statement. Suitable for both casual and formal wear.